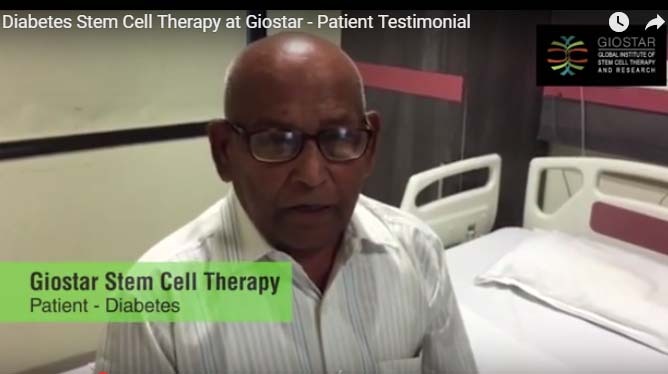 In April 2016, 55 years old, Mr. Ashwinbhai Soni, suffering with liver cirrhosis arrived at the GIOSTAR after quite sufferings and very concerned about his professional as well as personal life. 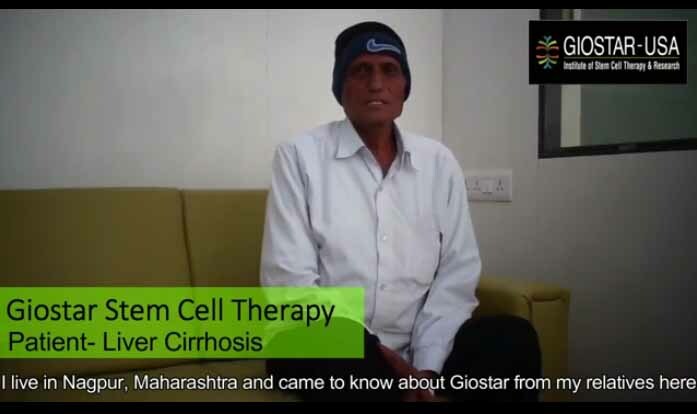 His viral load was very high and liver enzymes were as well elevated beyond the limits, due to which his doctor suggested him of no other option; but a liver transplant. 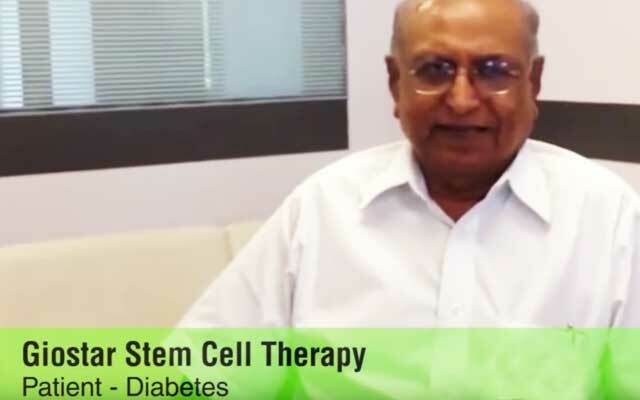 Read how Mr. Ashwinbhai Soni has undergone stem cell therapy with us and how is he feeling currently. Hi my name is Ashwinbhai Soni and I am currently working with GV. Since last 4-5 years I had been regularly hospitalized for my weakness, abdominal pain, passing of blood through stool problems. 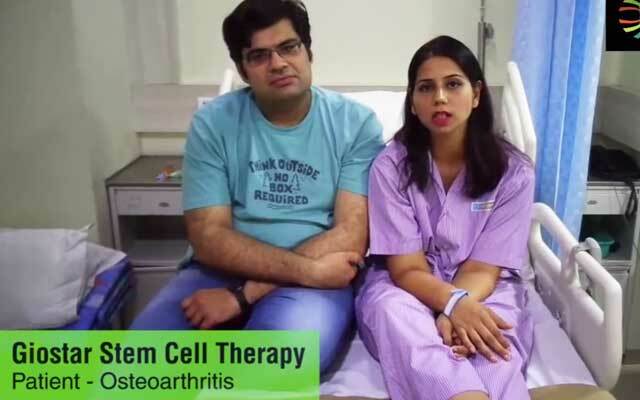 Doctors had initially concluded a liver problem, but the severity of the issue was not noticed till the time, I consulted a gastroenterologist. He consulted me well and check for my personal, professional as well as family history. As per his suggestions, I underwent two-three diagnostic tests; which ultimately concluded a severe liver disease, named liver cirrhosis. After that I had to be admitted 5-6 times in a hospital every year; for blood transfusions. I have even had blood vomits twice or thrice last year, I used to feel lot of weakness and my friends and family suggested me to take complete rest, considering severity of my issue. At one point of time, I was so frustrated that I was about to leave my job. 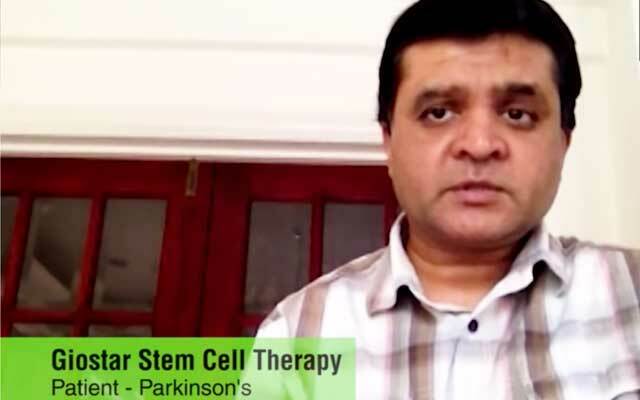 I had been undergoing treatment at Sterling hospital with gastroenterologist, who ultimately suggested me liver transplant by analysing my biopsy reports. 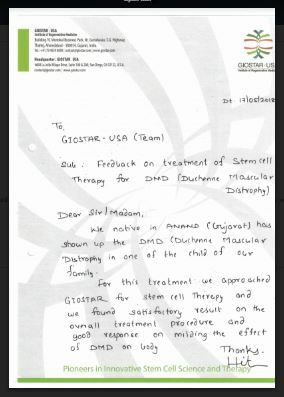 Luckily, through newspaper, I came to know about stem cells therapy at GIOSTAR and how many people have been benefitted without a surgery. 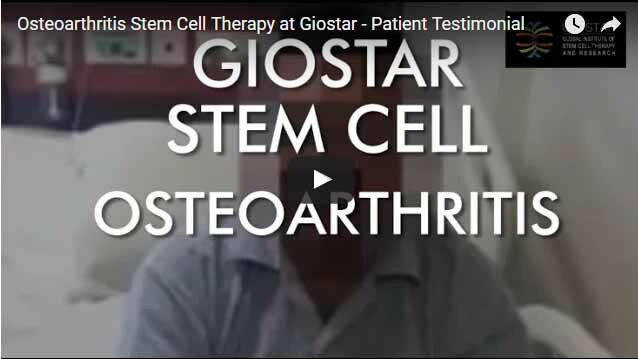 Doctors and specialists at GIOSTAR are very soft, knowledgeable; who made me understand the entire process, including risks and benefits. I finally decided to give a try; before opting for the liver transplant. I underwent total 4 cycles; although each cycle was just a daytime affair. The procedure was too smooth to my expectations; and I could internally feel the change, in the first sessions itself. However, my gastroenterologist was still suggesting me that a transplant is the better option; and this is not going to work. After 2nd session, I found that my stamina is slowly increasing, along with my appetite and emotional mood swings. After 3rd sessions, I found out that I can work almost 10-12 hrs a day, whereas initially, I was not being able to continue even for 2 hrs. My appetite has considerably increased and I have started living normal life again. Even to my surprise even my gastroenterologist declared that I need not to undergo any transplant and everything is going on very smoothly. 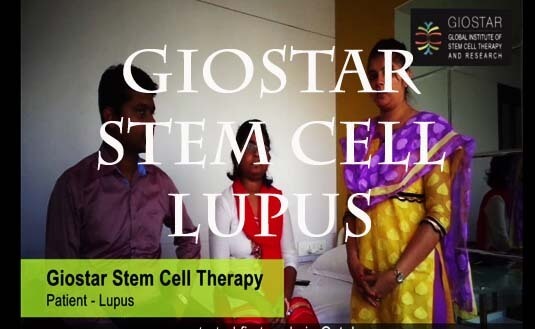 I may undergo additional sessions of stem cells therapy, as per expert’s advice; but for now I am very happy and thankful to all the staff of GIOSTAR; for bringing me back into my life. My name is Bharat Bhai Shah and I am 67 years old. I was suffering from recurrent ulcerations that used to get relieved with topical applications of antibiotics; only to happen again! I had a constant pain around those patches of my cheek, but ignored it for quite some time. 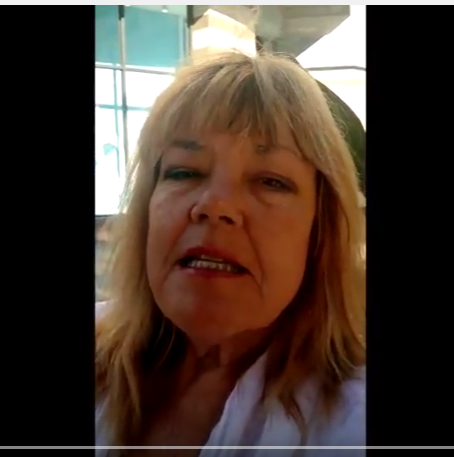 Almost 2-3 months ago, I had been for my dental checks; where I was warned for the doubtful ulceration around my left cheek! 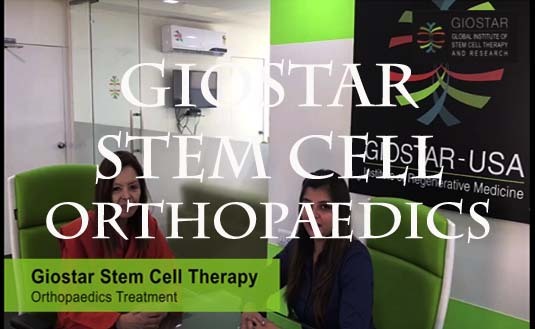 As I was tired of repeated ulcerations and pain in my mouth; I decided to have a detailed consultation with the specialist at GIOSTAR. I found the staff and experts very knowledgeable, humble and friendly. I had consultation with an expert and was advised to undergo biopsy check on 4th July; which turned out to be a buccal mucosa. 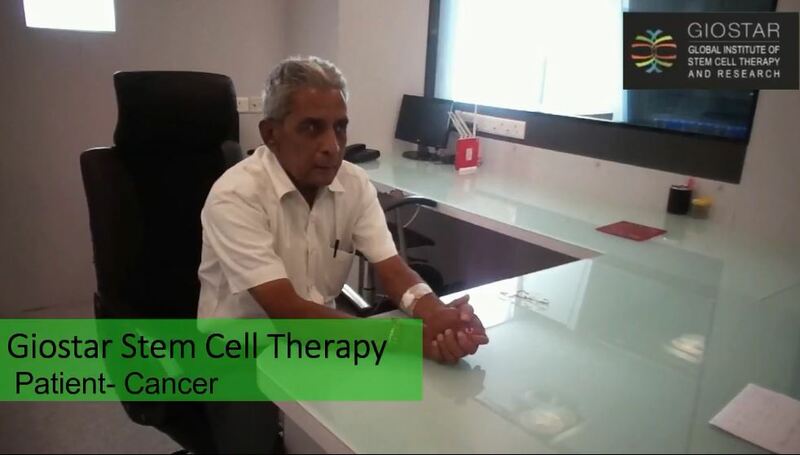 As a matter of fact, I had been offered three sessions of Cancer Immunotherapy, with an interval of 15 days; after each infusion. 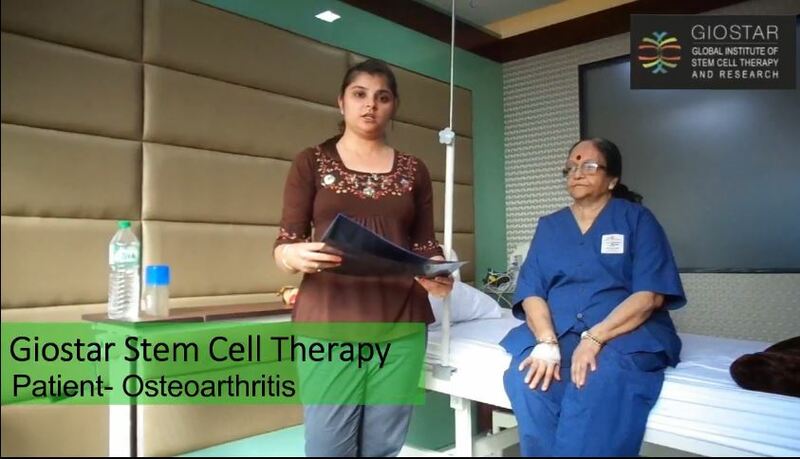 Accordingly, the first session of treatment was scheduled on 29th July. It was just a one day matter and I was discharged on the same day. Initially I was worried about the treatment outcome and effectiveness, as I felt pain around my teeth after first session of infusion. 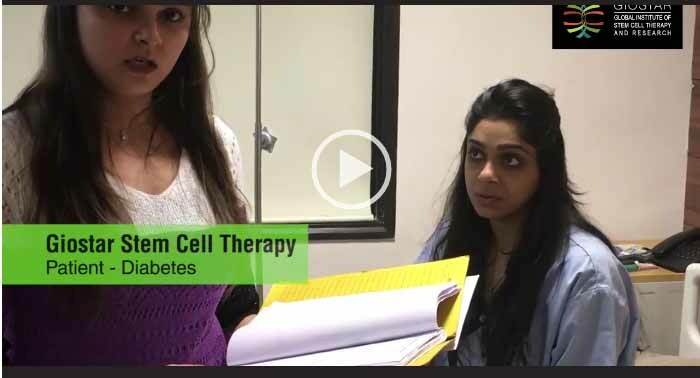 I experienced almost 50% pain reduction after second round of infusion and this definitely strengthened my confidence. I was feeling improvement internally. I strictly followed my diet chart. I did not experience any sort of problem, such as loss of appetite, loss of weight. After my third session i.e. on 26th August, I am living completely painless life without any diet restriction. 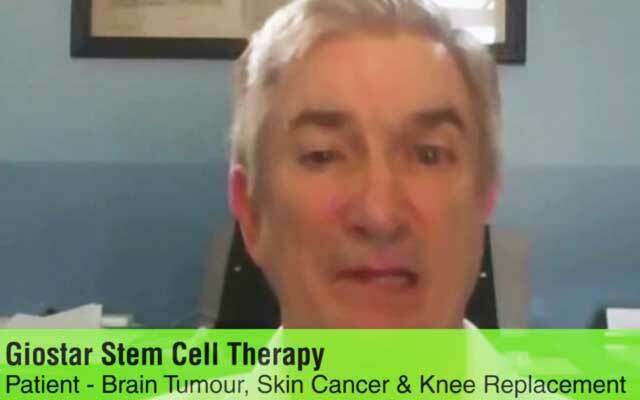 I would definitely recommend this treatment to other Cancer sufferer.